A credit report is an organized list of information related to your credit activity. Credit scores are mathematical formulas that use information in your credit report to calculate a value that suggests how likely you are to pay your bills in the future. There is no “one” credit score. 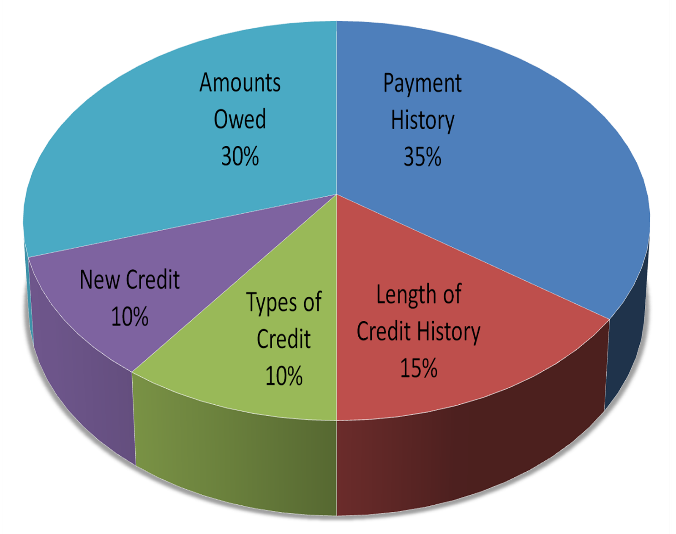 There are multiple credit scoring formulas available to you as a consumer as well as to lenders. Low credit scores are not always the result of negative credit but rather the lack of good credit. DO pay your bills on time. Even very small debts can lower your credit score if they go into collection. Remember, negative payment history stays on your credit record for as long as seven years. DON’T overextend yourself with loans or credit card debt. Too much debt brings down your credit score. Avoid maxing out your cards. A good rule of thumb is to keep your credit card balance no higher than 30 percent of your maximum. If your credit limit is $1,000, for instance, keep your balance at or below $300. DON’T close old accounts. The age of your oldest credit card and the average age of your cards affect your credit score. Closing too many accounts at once also lowers the amount of credit that is available to you, causing your current debt to appear to be a higher percentage of your available credit. If you must close accounts, close the newest ones. DO apply for a credit card. If you can’t get one from a bank, try to get a gasoline or store card. Paying it off regularly will build a good credit history. DO take out a small loan. Even a $500 loan can help build a credit score if it is paid on time. DO watch the inquiries into your credit. If you apply for numerous credit cards or loans in a short period of time, the volume of credit inquiries from outside sources will lower your score. DON’T worry that checking your own credit will bring down your score. Requesting your own report will not count against you. Order a free credit report at least once a year to verify all information is accurate and to ensure no fraud has been committed under your social security number. The three credit bureaus—TransUnion, Experian and Equifax—are required by federal law to provide you with a free annual credit report once every twelve months. Best practice is to stagger and request the reports separately every three to four months so you can monitor more frequently throughout the year. The only way to repair your credit score—or build a credit history—is over time, through meeting your financial responsibilities and paying your bills on time.